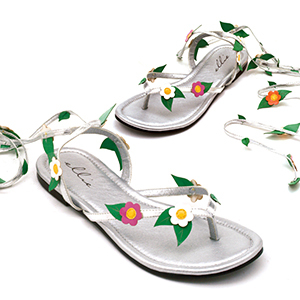 0" Flat Sandal W/ Flower Embellishments. 5" Heel Knee High Strap Up Sandal. © 2017. Ellie Shoes, INC.